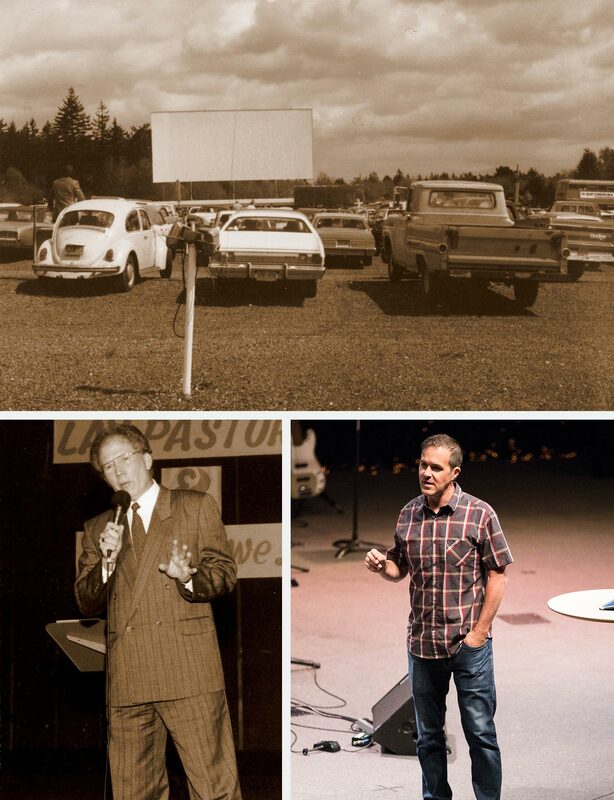 New Hope was founded in October of 1972 at a drive-in theater on 82nd Street. Standing on the roof of a snack shack, founding pastor Dale Galloway shared his dream of a church committed to serving anyone and everyone. Over the next ten years, New Hope called nearly a dozen different sites home. Whether in a rented gym, a movie theatre, at Warner Pacific College, or in its current location, a commitment to serving others has remained constant. New Hope’s innovative approach to ministry provided countless opportunities to serve the greater Portland area and even help churches nationally. Leaders traveled from across the country to learn about New Hope’s approach to small groups, volunteerism, care ministry, and missions. Even amidst challenges and shifts in culture, a passion for people, our community, and the gospel has been kept alive by New Hope’s many staff and leaders. In 2015, John Rosensteel arrived as New Hope's new Lead Pastor. Building on New Hope's past, he is leading the church into the future with the dream of seeing New Hope thrive in its next chapter, rooted in a desire to follow Jesus and share His love.